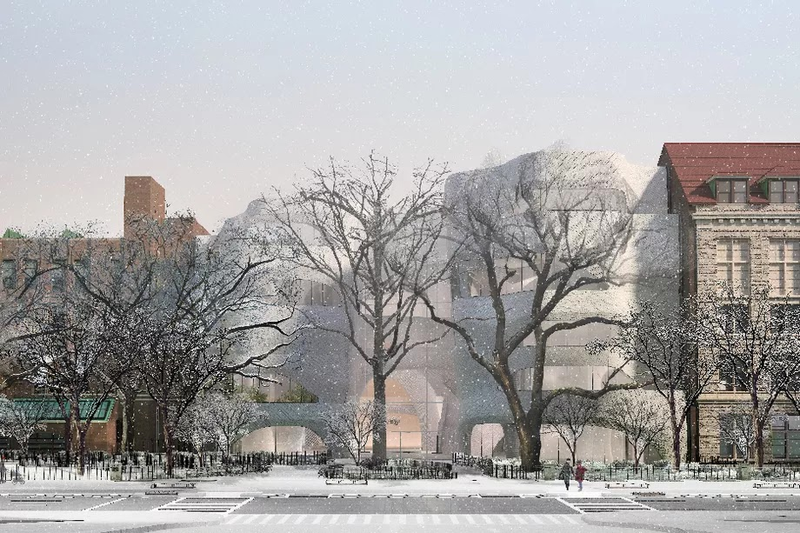 The American Museum of Natural History’s expansion plans have been put on hold following the issuance of a temporary restraining order (TRO) by New York State Supreme Court justice Lynn Kotler. The TRO against the Richard Gilder Center for Science, Education, and Innovation stems from a lawsuit filed by a group known as Community United to Protect Theodore Roosevelt Park, which has been opposed to the expansion for quite some time now. The museum filed plans for its five-story, Studio Gang-designed expansion in August 2017, and began pre-construction work on the building last month. This further angered the community group opposed to the development, who were waiting on the October 2 hearing date for the lawsuit they had filed against the museum earlier this year. For now, construction work, and any planned removal of trees from the park will have to be halted until a court hearing that’s been scheduled for December 11, 2018. Community United has been opposed to the project on the grounds that it will destroy the park, lead to the removal of trees, and that construction work will pose a safety and environmental hazard to the surrounding community. I have a Idea. Build up and save the park ! They are worried about park space? This is ONE BLOCK from CENTRAL PARK!!!! This pic is 79th street and Columbus Ave. looking East. It already is really museum property and fenced off.